Quantum computing is the phrase on everyone’s lips at the moment. The word quantum, a name of a branch of physics that means “the smallest possible unit of something”, has come to suggest almost anything futuristic. And, as rival companies compete to assemble the largest-ever quantum chips, they are of course competing for ‘quantum supremacy’ – that moment when quantum computers can solve a problem that cannot be solved by a classical computer. However, it should be noted that this doesn’t mean the quantum computer will exceed classical computation for everything. Indeed, there’s considerable debate about how this could theoretically be achieved, or even what quantum supremacy really means.In such a fledgling field, there’s exciting new research, but often a multiplicity of different approaches. UNSW Professor Michelle Simmons is the Director of the Centre of Excellence for Quantum Computation and Communication Technology, or CQC2T, and she is the head of a team that creates quantum bits (qubits) by precisely positioning individual atoms. A qubit is any quantum mechanical system with two possible states, but there are many ways of physically creating such a system; some approaches have used rare substances like diamonds or cesium. Professor Simmons and her group adopt a slightly different approach. The qubits are created by precisely positioning and encapsulating individual phosphorous atoms in a silicon chip. The spin of a single electron associated with that phosphorous atom can then encode the quantum information. In placing our phosphorus atoms in the silicon to make a qubit, we have demonstrated that we can use a scanning probe to directly measure the atom's wave function, which tells us its exact physical location in the chip. We are the only group in the world who can actually see where our qubits are. 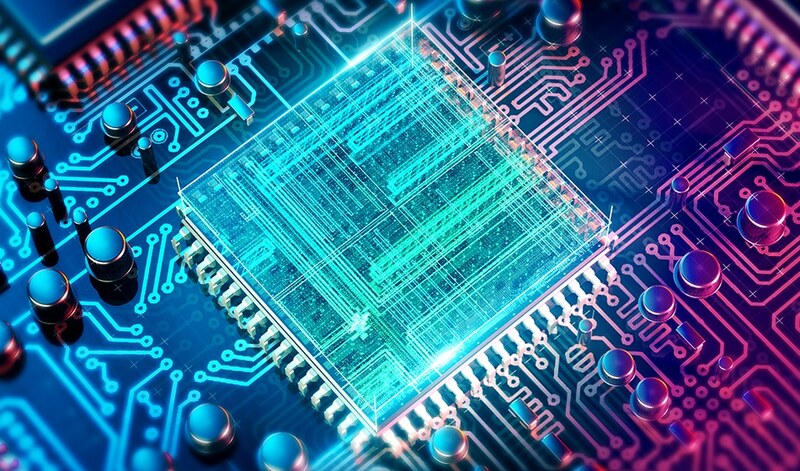 Our competitive advantage is that we can put our high-quality qubit where we want it in the chip, see what we've made, and then measure how it behaves. We can add another qubit nearby and see how the two wave functions interact. And then we can start to generate replicas of the devices we have created. Now this approach has demonstrated controllable interactions between two adjacent qubits, in a new study published in Nature Communications. It is part of a flurry of papers from the group that includes the construction of quantum circuitry with the lowest recorded noise of any semiconductor device, and an electron spin qubit with a lifetime of 30 seconds; the longest yet recorded in any nanoscale electric device. Both of these developments are crucial for quantum computers to be useful; obviously, your qubits can’t be unstable. As you’d expect, the longer the lifetime of the qubit before the spin flips, the longer you can encode and store information. Thirty seconds may not sound like much, but it’s 16 times what has previously been reported in such systems. It's also the case that noise from the circuitry is likely to be the limiting factor in qubit performance; hence reducing it is vital. The results confirm that silicon is not just a material of convenience due to its wide use in electronics, but also a better candidate than more expensive materials. Our results confirm that silicon is an optimal choice because its use avoids the problem most other devices face of having a mix of different materials, including dielectrics and surface metals, that can be the source of and amplify electrical noise. With our precision approach we've achieved what we believe is the lowest electrical noise level possible for an electronic nano-device in silicon - three orders of magnitude lower than even using carbon nanotubes. The combined results from these three research papers confirm the extremely promising prospects for building multi-qubit systems using our atom qubits. To get two qubits to communicate, the team placed individual qubits 16 nanometres apart on a nanoscale chip. One was made of two phosphorous atoms, while the other was made of a single phosphorous atom. "Using electrodes that were patterned onto the chip with similar precision techniques, we were able to control the interactions between these two neighboring qubits, so the quantum spins of their electrons became correlated," says study lead co-author, Dr. Matthew Broome, formerly of UNSW and now at the University of Copenhagen. "It was fascinating to watch when the spin of one electron is pointing up, the other points down, and vice versa. This is a major milestone for the technology. These type of spin correlations are the precursor to the entangled states that are necessary for a quantum computer to function and carry out complex calculations," he says. Study lead co-author, UNSW's Sam Gorman, says: "Theory had predicted the two qubits would need to be placed 20 nanometres apart to see this correlation effect. But we found it occurs at only 16 nanometres apart. In our quantum world, this is a very big difference. It is also brilliant, as an experimentalist, to be challenging the theory." Where next for the team? Competing in the race for supremacy with IBM and Google might seem like a daunting challenge for a university research team, but they are undaunted. The company spun-out of the labs, Silicon Quantum Computing Pty Ltd, hopes to produce a 10-qubit prototype device in the next four years. They have received $25m in funding from the Australian government, alongside $25m from UNSW itself and more from the Commonwealth Bank of Australia, Telstar, and the regional government of New South Wales. Evidently, they all see great potential for the future of this technology; time will tell who will win the race, and how this technology will end up being applied.